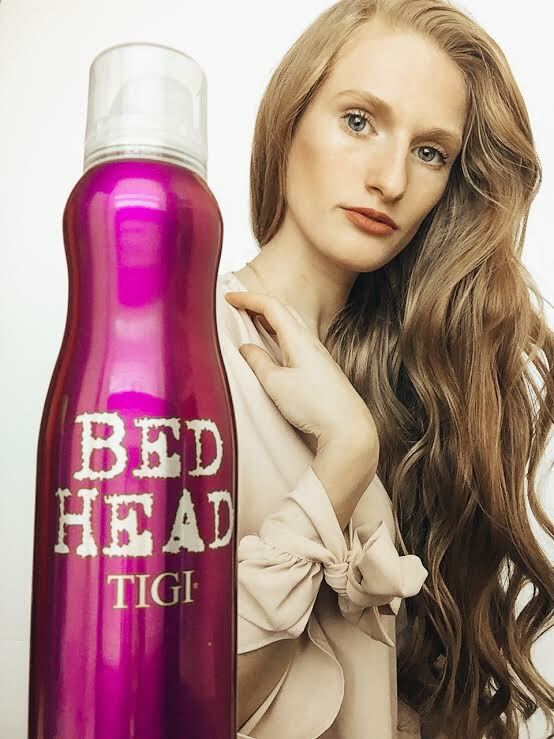 This is a sponsored post in collaboration with Bed Head by TIGI and Her Campus Media. All Opinions are my own. In my look I used four products: Rockaholic Dry Shampoo, Queen For A Day Thickening Spray, Masterpiece Hairspray, Get Twisted Finishing Spray. Dry shampoo is a must for my hair type. I use it to add extra volume to my hair before I style it with a heat tool. 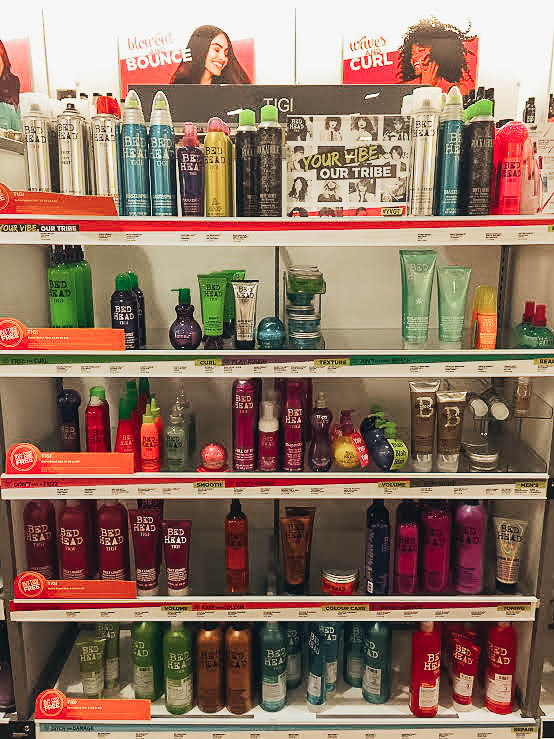 I spray it on my scalp, in between different rows of hair. I then tease my hair upwards trying to massage the formula into the hair, as well as fluff up my hair to add volume. You can follow my easy steps for this loose curl look below! You will need a heat tool such as a curling iron, wand or straightener. 1. 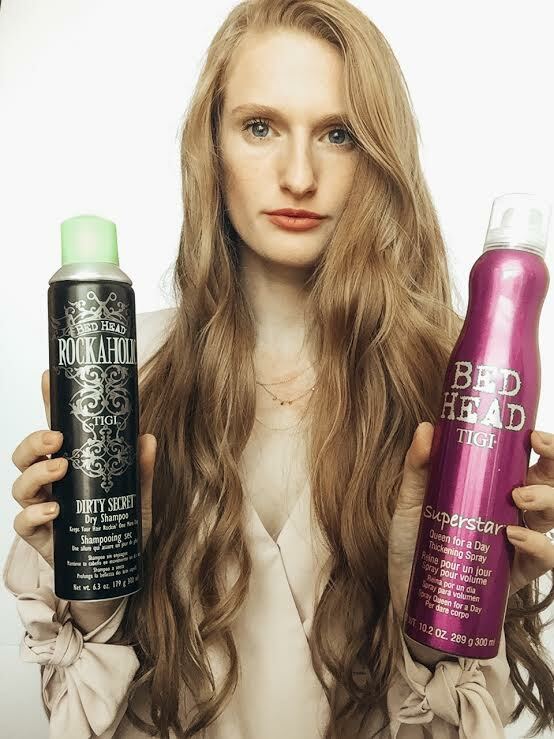 Spray top of hair with Rockaholic Dry Shampoo and tease upwards with fingers. 2. Divide hair into 4 quadrants. 3. From 1 quadrant, pull 1-2 inches of hair and spray with Queen For A Day Thickening Spray, let dry. 4. Wrap hair around wand and hold hair for 18-20 seconds. 5. Release hair and let cool, move to the back. 6. Repeat steps 3-5 until the quadrant is finished. 7. Once quadrant is finished, spray it with Masterpiece Hairspray. 8. Once entire head is curled, lightly mist with the Get Twisted Finishing Spray. 9. Lightly brush out curls for a loose, wavy effect. 10. Add more hairspray as desired. Girl your hair is just a dream! Loose waves are my go-to. Need to give Bed Head a try! I love wavy hair!! Your curls look gorgeous. I have to try these products. 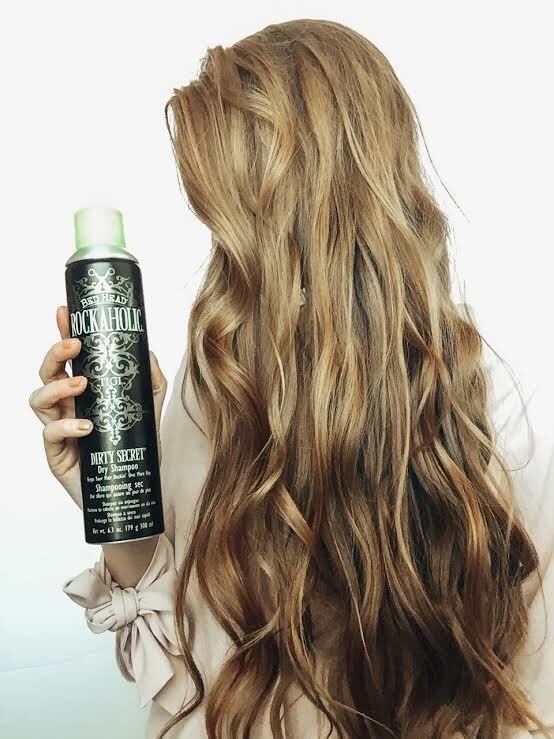 The Rockaholic Dry Shampoo is one of my faves– such a hair saver and it smells fab! Your hair is absolutely stunning!! I love these loose curls – I agree they are perfect for college so you can leave them in all week and have eprfect hair. Just add more dry shampoo! you have the most beautiful hair!! 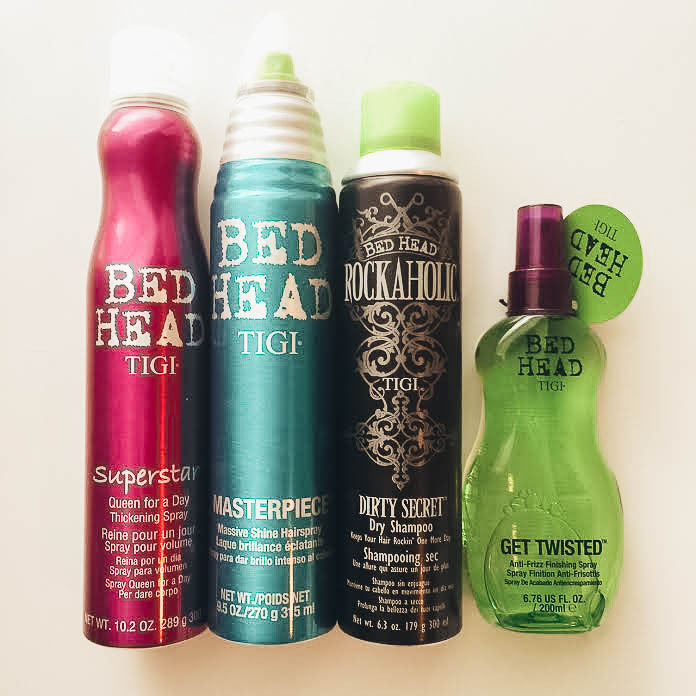 Bedhead products are so fun and smell good too! I mean…your hair is absolutely gorgeous anyway! Thanks for the beauty and hair tips! You curls are gorgeous!! Those products are a must buy! Your hair looks amazing! Love those curls!